On the 23rd June, according to Korean Entertanment News, Boyband SS501 is once again getting themselves involved in boyband activities. SS501 will be releasing abrand new album in the second half of the year. Recently, they have also released a Solo for every member in their album “SS501 Collection”, including records of Kim Hyun Joong, Kim Hyung Jun, Kim Kyu Jong, Heo Young Saeng and Park Jung Min’s individual concert song as a bonus track. In May, SS501 was in Las Vegas, America fo a photoshoot for their pictorial. They will also behaving a bonus for this pictorial. All the members have finished their dram and MV shooting and will be meeting fans very soon. 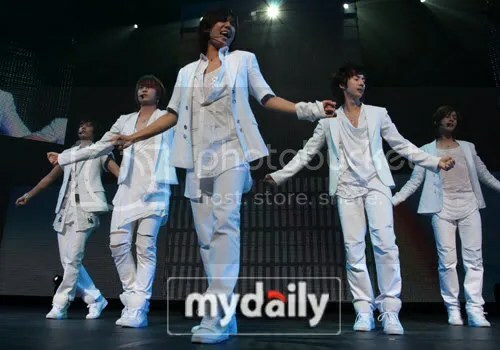 Additionally, in August, SS501 plans to launch their Asia World Tour as well as the launching of their second album.